I recently listened to episode #17 of “Geek History Lesson”, a podcast I listen to. On this particular episode they talked about if they could assemble their personal best X-Men team what their choices would be. It gave me the idea to put together the X-Men team I would use if I were to write an X-Men team. I am not going to use the same format that they used though. I am just going to go with the 6 man team that was used in the original run of X-Men. Tony will also be putting together his own team of six. As a big X-Men reader his team will probably be pretty amazing. The leader of a X-Men team needs to be a strong leader that all of the members of the team will follow without question. My team leader would be Havok. He has become a great character throughout the years. While I haven’t cared for the direction Uncanny Avengers took, I still think he has been a great leader to the team. Not to mention his time leading the government sponsored X-Factor team. Havok is always loyal to his team mates. Going so far as to leave X-Factor when he thinks that he failed to protect Multiple Man and he died. He has a strong power set that can also lend a good amount of support to the team. Kitty is the heart of most of my favorite X-Men teams. she brings a compassion to any team she is part of. Kitty isn’t afraid to question anybody when she feels that are wrong, which often leads to her helping keep the team focused. And I also believe she would be dedicated to making sure there wouldn’t be many innocent casualties caught in the crossfire of the battle. Kitty’s power of intangibility makes her great for stealth missions for the team, making it easier to stop their adversaries with a lot less of a struggle. Her powers can also be spread to other members of the team which could come in handy in the more intense situations that the team will inevitably face. Colossus is the perfect heavy for any X-Men team. When he is in his metal form he is super strong and nearly completely invulnerable to all attacks. His relationship to Kitty makes him an even stronger asset to the team. Peter is fiercely loyal to his teammates, and has no problem taking orders to make the team succeed. Colossus’ powers would make him a great point man. Sent in ahead of the rest of the team as a battering ram to clear the way or even used as a distraction to allow Kitty to move in and flank their enemies. And depending on what version you use, he could even spread his metal form onto a nearby ally to help protect them in emergency situations. Not a lot of readers are very familiar with Foley, discarding him a little bit of a wildcard sometimes. He is torn about being a mutant most of the time. That aside he is a valuable part to any team he joins. He was a strong member of the New X-Men after the events of M-Day. His troubled mind actually led to his powers evolving in ways that make him even more essential to my team. HIs powers are pretty unique. Foley can alter the biological structure of any organic matter. 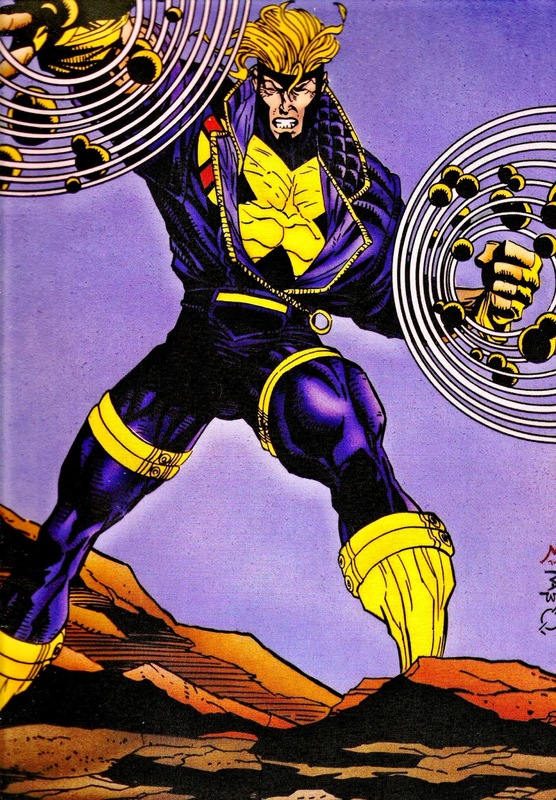 This allows him to heal himself or others, as well as boosting the powers of other mutants. The only down side is, Foley must have physical contact to have full effectiveness. 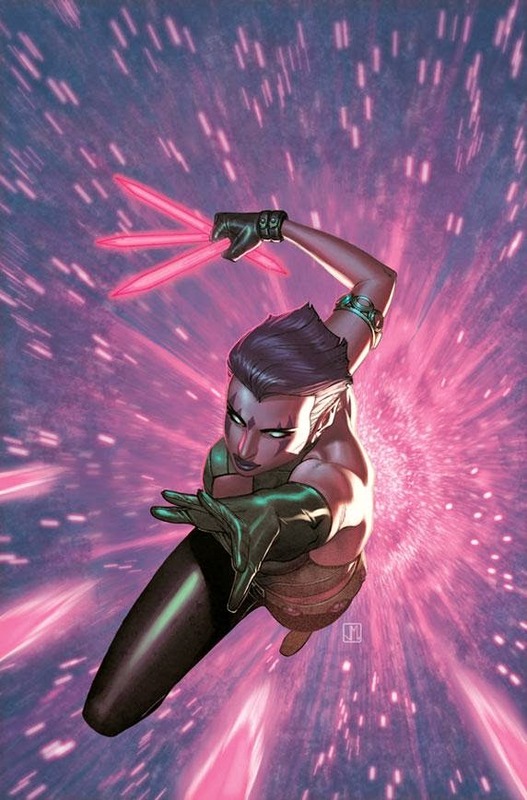 Blink is one of those characters that can be really well used or very poorly written. I choose to believe she could be well used on this team as a support character. Not to mention she would be a great mode of transportation for the team. I would prefer she appear as the version from the movie X-Men: Days of Future Past, for the fact that I think the character works well as a strong asian female character. As I already stated, I believe her powers would serve the good of the team well. She could be how the team gets around. Plus as seen in Days of Future Past her portals could be used to enhance all of the strengths of Colossus. Blink would also be able to move injured members of the team out of harms way to gain the chance for them to recover, as well as getting civilians out of the way. 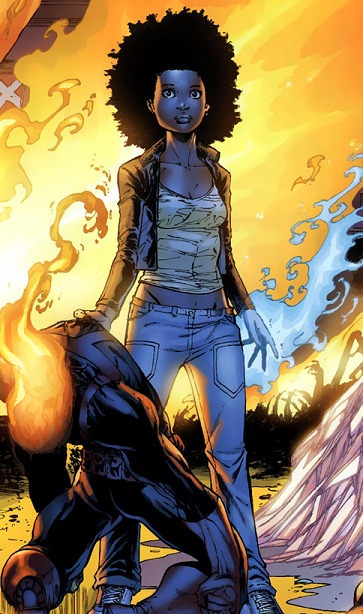 Idie is a young mutant who is in need of a guidance and training that I think this team could give her. She has already been somewhat taken in by Wolverine, but I think that Kitty and Alex could really help guide her to being the hero that she could be. Idie could also use the work on the team to help train her powers. Since the part she played in Schizm, where she was forced to kill someone she has had a lot of conflict. I think this team could also keep Idie from going down a darker path because of that conflict. Idie has the ability to control produce both Fire and Ice, sometimes simultaneously. Both sides of her power set can bring a strength to this team. Combined with Elixir boosting her powers after she has refined her control of them and she could be extremely valuable. Those are my choices for my perfect X-Men team. But everyone has their own ideas on who would make a great X-Men team. I’m not going to talk at length on this one, Ted summed it up pretty good. I agree, he makes the perfect wrecking ball against the opposition. His kind nature also makes him the perfect candidate as the team’s heart and moral compass. 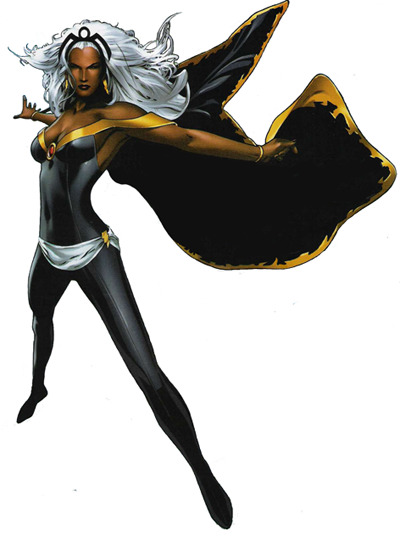 She brings pretty much everything that Colossus brings to the team, plus flight, telekinesis, and telepathy. I added her because I just love the idea of having the other side of basically the heavy coin. 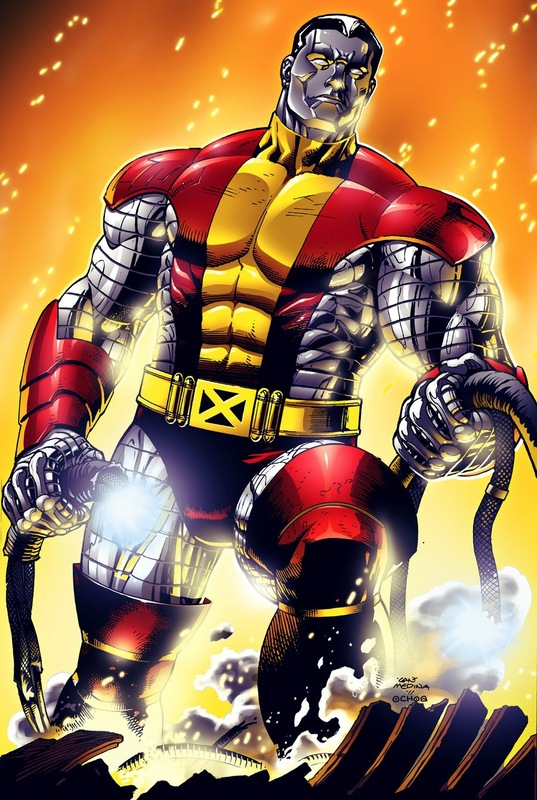 Where Colossus is soft spoken and unassuming, M is brash and arrogant. She’s been one of the stand outs in Brian Wood’s current X-men run. And really, can a team go wrong with two heavies, especially when this one is so fun and has such versatility? As his codename hints, Eden teleports by folding time/space to bridge the gap between two points. 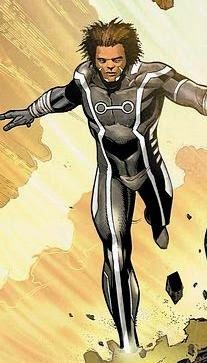 He was first introduced in Secret Avengers #4 and is currently a member of the Avengers. A protegé of Gateway, himself a former teleporter of X-men, I chose him over some other teleporters for a couple of reasons. He has been shown to be capable of teleporting large groups of people, a limitation that teleporters like Nightcrawler struggle with. His method of teleporting doesn’t involve jumping from this dimension to a demon infested hellhole and out the other side, like Magik. And finally, the distances he’s able to teleport over seem to far exceed most others, even being able to go from planetside to other parts of the galaxy. When you want to melt the brains of your foes, you go with a real heavy hitter. Depending on the writer, she has no upper limit to her abilities as a telepath and telekinetic. And if she is in possession of the Phoenix-force, all bets are off. Telepaths are wonderful to have on a team, they allow the whole group to stay linked together so that instantaneous, silent communication is possible. 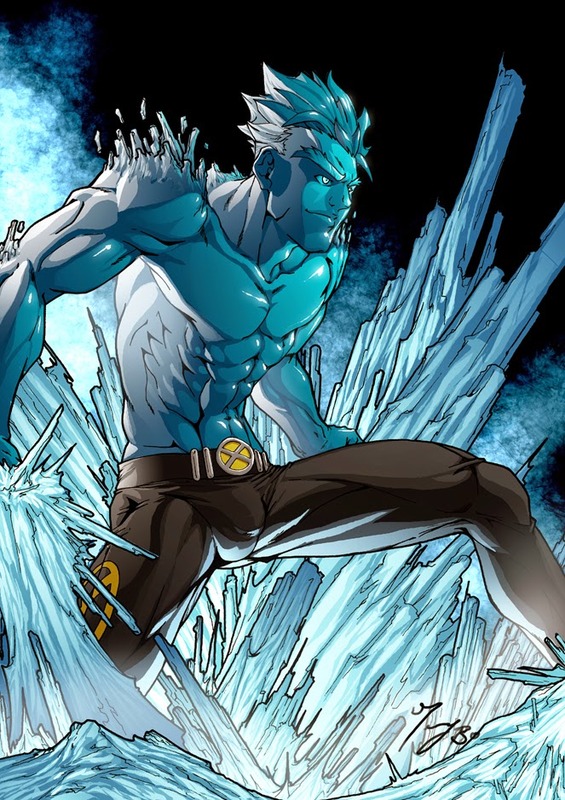 “Iceman, really?” Is that what you’re thinking? He’s not the joke he used to be. 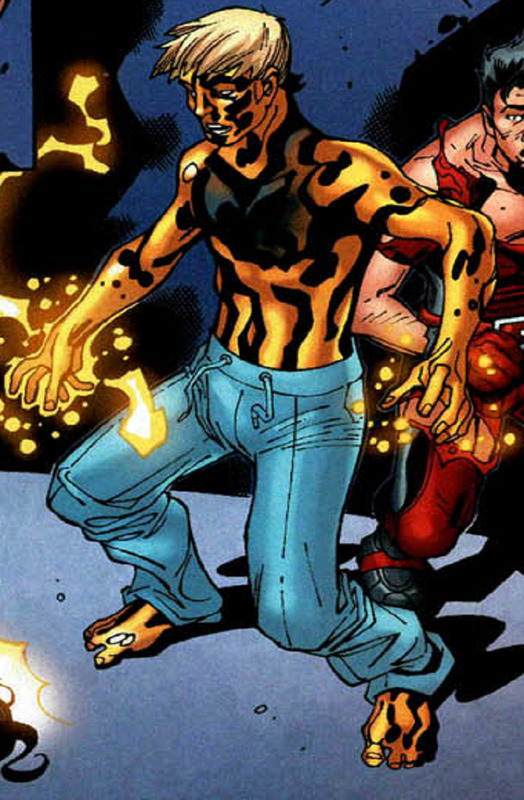 Bobby is an Omega-level mutant, a mutant that controls the elements and has virtually no upper limit to his potential. Years ago, his body was possessed by the consciousness of Emma Frost, who did things with his powers that even he didn’t think were possible. That was the wake-up call he needed to quit acting like a fool and start getting serious about his powers. Since then, he’s done things like getting shattered into pieces and reforming himself, gaining the ability to make copies of himself that he’s able to control simultaneously, and even making a several story tall Voltron-like ice beast! On top of his unbelievable potential, he’s also the comic relief of the team. He’s become much more serious about his powers, but he still loves to make those around him laugh. If he ever reaches his full potential, he’ll easily be in the top ten of most powerful mutants ever. Thanks for reading fellow comic fans. We had a lot of fun putting this one together for you. But these are just our picks. So please feel free to share your picks. I look forward to hearing what you guys think about our picks and the teams that you guys can put together. If you are interested in hearing the podcast that inspired this post here is the link to the website: http://bit.ly/GeekHistoryLesson It’s a really fun podcast.